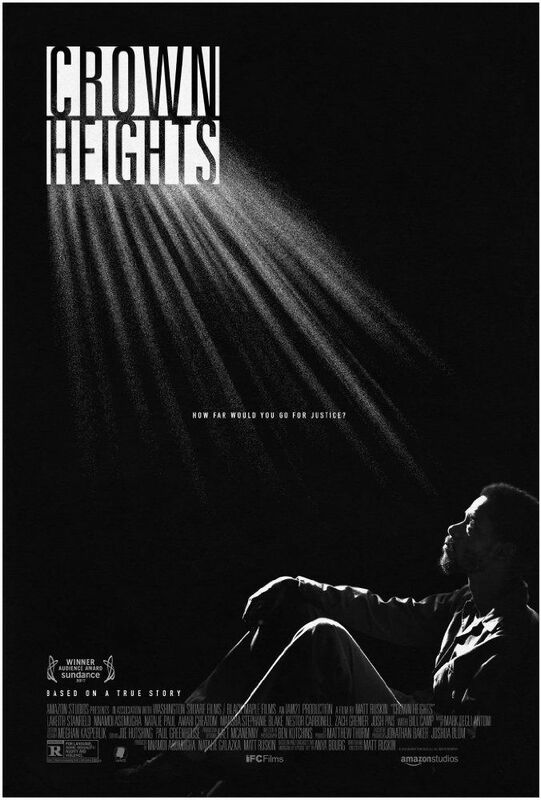 Crown Heights is a 2017 American biographical drama film written and directed by Matt Ruskin. Adapted from This American Life podcast, the film tells the true story of Colin Warner who was wrongfully convicted of murder, and how his best friend Carl King devoted his life to proving Colin's innocence. The film stars Keith Stanfield as Colin Warner and Nnamdi Asomugha as Carl King. Read more on Wikipedia.